"When I look back at the time spent at the hospital in Bristol, my memories of the house overshadow my unpleasant memories in the ICU." 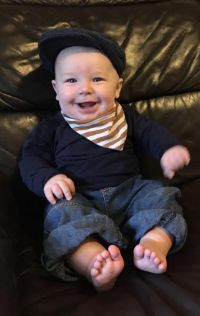 "At the end of April 2018 our precious sweet baby boy became so unwell that the watch Team had to pick him up from Devon and take him to Bristol children’s ICU. I arrived in the early hours of the morning and was given a parent room with a bunk bed for the night. I was so unwell and cold and was in terrible shock. By time I had made it back into ICU the sister and receptionist already had the paperwork waiting for me to apply for a room in RMH. I was told there could be a waiting list but I was so fortunate that a room became available and myself and my husband could go up that afternoon. On arrival we were treated by such kind staff who were full of smiles. I was in such a mess as had been treated for a double blood clot and lung infection when our baby was born and I was two hours late with pumping my milk which was making me feel terrible. One lady grabbed us both a cup of tea whilst the other lady took me to a store room to get me an electric pump to sort myself out. They could see I was unwell so gave me details of a local GP surgery up the Hill which would see parents with children in the hospital. The staff were amazing. The house was lovely and welcoming and overall my stay at the house was a real blessing. When I look back at the time spent at the hospital in Bristol my memories of the house overshadow my unpleasant memories in the ICU. Thankfully our baby boy recovered and is now doing great." From all at RMHB, we would like to thank you for your incredible support! Without all our amazing supporters we wouldn't be able to keep our doors open and continue providing this vital place for families in need. Since 2002 we have now accommodated and supported over 7,700 families and counting! 2018 has been another busy year for us and it has been fantastic to see so many of you at our events, bringing donations to the house, participating in races and putting on your own events! We are honestly so very grateful for all you do and are already looking forward to seeing what 2019 brings. December has, as always, been a very busy month for us! We have been overwhelmed by the generosity and kindness of so many people donating their time, money and an array of items to help support families this festive season. Sadly yet again our house will be at full capacity this Christmas. As always we try to make the house as homely and comfortable as possible for all our families. Yet again we have had volunteers decorate the house and cook a Christmas meal for all to enjoy. As well as been delighted by volunteer choirs and collectors at our annual Christmas Carols. 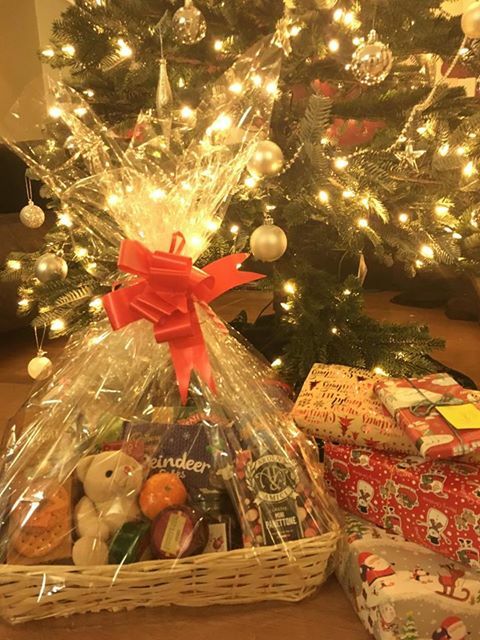 We are very happy to say that as always we have been blown away by the incredible amount of donations we have received which will ensure our families all have gifts, hampers and all the homely comforts they need. On the 2nd November this year we turned 16 years old! As we go into our 17th year we are looking back over the range of new and exciting challenges we took on to mark our 15th Anniversary. Some were tried and tested, some completely new and we have had so much fun doing them and we hope you have to! It was important to us that these events offered opportunities for anyone to get involved whether that be staff, families or supporters and we were honestly blown away by the help we received! The years planned events started with our Evening of Recognition to mark the anniversary of 15 years of helping families in need, by paying tribute to all who have made the past 15 years possible. We honestly couldn't continue without the help of all of our incredible supporters whether that be donors of items for our house and families, volunteers who maintain our house or help at events, or the fundraisers who take on many exciting and challenging events of their own! For each and every one of you we are so very grateful and cannot thank you enough for your amazing support. Christmas is always a hectic but wonderful time of year for us. Our Choirs at Cabot Circus and Christmas Raffle are annual events that we are so grateful to have the support of volunteer collectors, choirs and ticket sellers for. 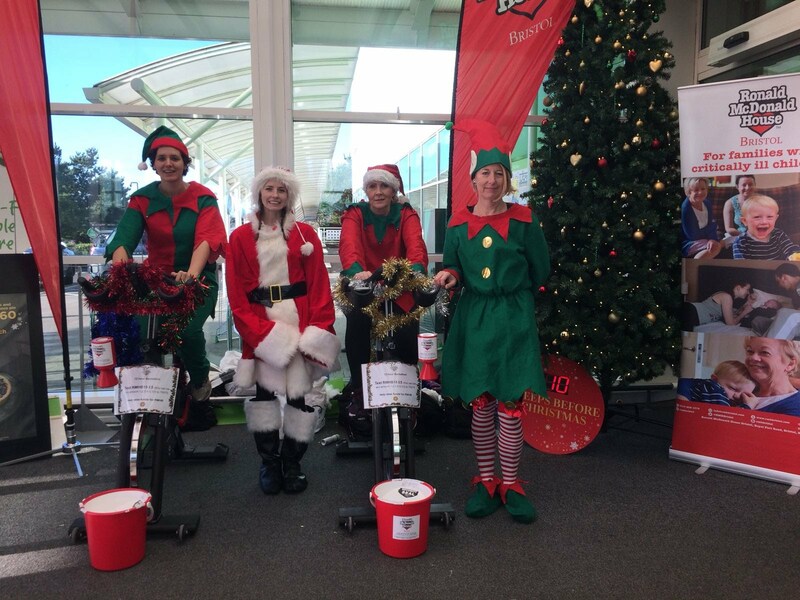 For the 15 for 15 we wanted to mix up our usual Christmas line up so we got out the fancy dress and got on a bike for our Santathon in ASDA at Cribbs Causeway! This was a 12 hour relay cycle that our wonderful RMHB team took on with the help of some lovely local volunteers from McDonald's. Although this was a challenge, we enjoyed this event so much that we are doing it again this year on Sunday 9th December! Please get in contact if you would like to be involved. Throughout the year we had social media campaigns to mark special days like National Baby Day and Random Acts of Kindness Day. This was the first time we had taken to social media as a form of fundraising and we look forward to exploring this more in the future. Our team also got involved and had great fun looking at each others baby photos! The Swimarathon was a great event that we will definitely be getting involved with again next year. The 50 minute challenge saw many frantic swimmers trying to get in as many laps as possible in a team relay. Our Office Manager took on the challenge alongside some families and children who have stayed here in the past and they all did brilliantly! This event is returning on the 3rd March 2019 and there are currently still places available. If you would like to get involved please contact our fundraising team. One of the greatest challenges for our team this year was by far the sponsored silence. We are a very chatty office and it is so difficult to operate the office without being able to speak! 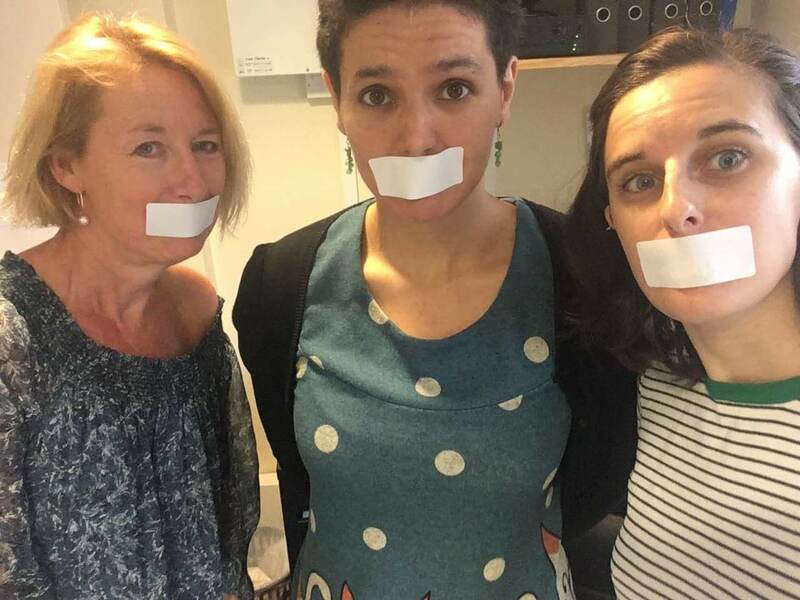 Thank goodness for our volunteer Jayne who kept the office running smoothly whilst we all frantically wrote notes and taped our mouths shut. Although it was very challenging we are very proud to say not one of us broke our silence - however we won't be rushing to do it again! The Skydive was yet another challenge taken on by our amazing Office Manager Malika. Due to poor weather she wasn't able to jump until September but it was an incredible experience that you simply have to try to appreciate! 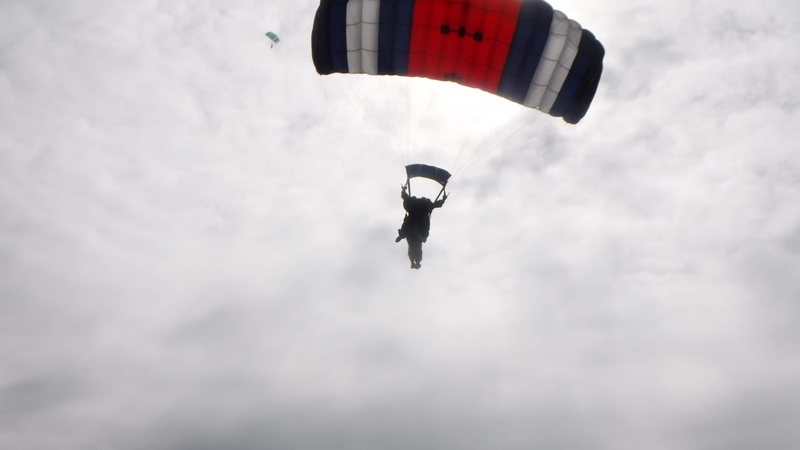 If anyone would like to take on the challenge of a Skydive speak to our fundraising team as SkyDive Buzz down in Devon have a connection to the house and will allow you to jump for free if you raise £395 or more for our house! 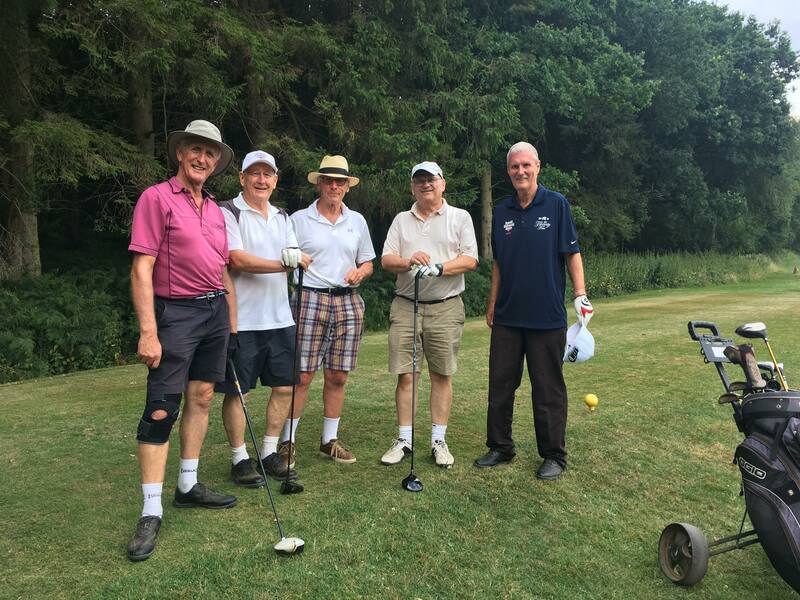 Our annual Golf Day was a great success again this year with many returning teams of supporters. This year we chose to try out a different venue and headed to the stunning Rolls of Monmouth. Luckily it only decided to rain as it was time to come in and a great day was had by all. In 2019 we will return to the equally stunning Celtic Manor and are pleased to say we already have many teams booked in! If you secure your teams place by the 31st December 2018 you can have a four ball with brunch and dinner for £650! For more information please contact our fundraising team. 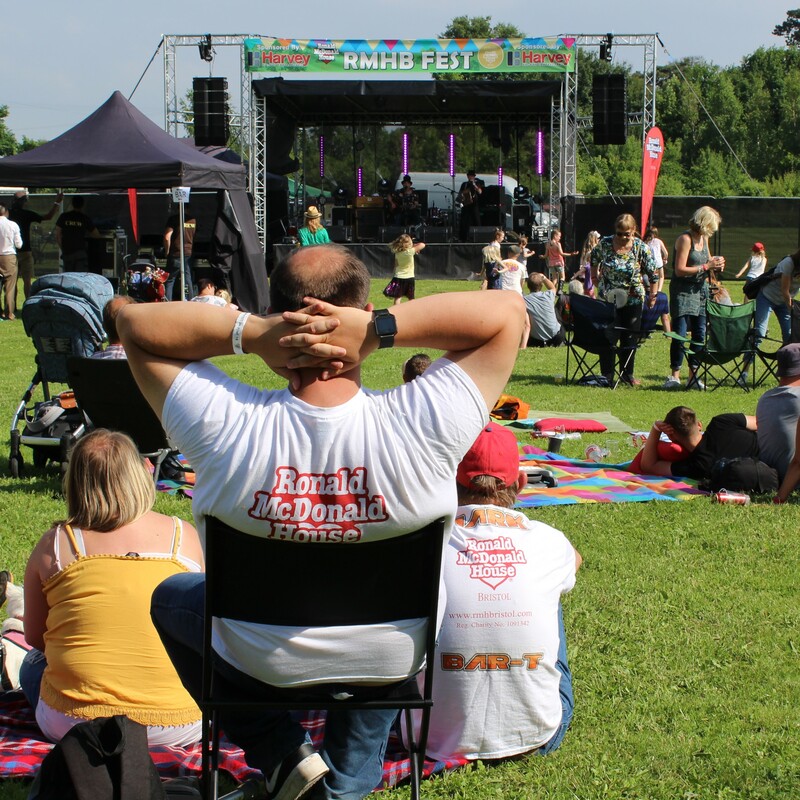 Our biggest undertaking for our 15 for 15 was by far RMHB Fest, our very own music festival! We were blown away by the help and support we got for this and had an incredible time! We couldn't have wished for better weather and it was so great to see so many of our supporters and past families. Personal highlights for our team included meeting Toploader and having Points West report on the day! All in all it was a great success and we are pleased to say we plan to hold the event again in June next year. Watch this space for more information and early bird tickets! Our final event of our 15 for 15 was our Sports Dinner. Although we have held dinners before we have never before had a guest speaker and Paul Merson certainly kept everyone entertained with his stories and anecdotes. Throughout the evening Russ Williams had everyone laughing and an amazing amount was raised by our auction and raffle. 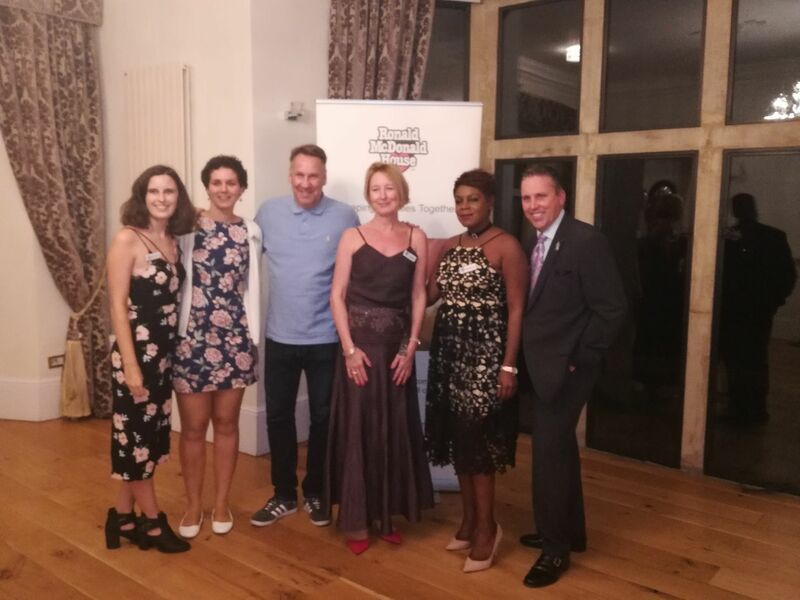 We were so happy to see so many of our supporters alongside some new faces and took this as an opportunity to invite our amazing ambassadors by way of thanks for all that they do. It was a great way to finish off this year of fundraising and an event we would love to do again in the future. Although a couple of the events we had planned to take on were unfortunately cancelled, we are so happy with the way our 15 for 15 went and cannot thank you all enough for your support along the way. Overall these events raised an incredible £37,622.88 in total and we would like to thank each and every one of you for helping us achieve this great amount. Every penny we raise goes straight to supporting and accommodating our families at there time in need and we are so grateful to everyone who got involved. Am I talking about jumping out of a plane last weekend? No! I’m talking about the sponsored silence we did to raise much-needed funds for RMHB - although skydiving from 15,000 feet was no small feat either! I am such a chatterbox and am constantly humming away to myself so I am proud to say we survived the whole day silent with no slip-ups. These were just two of the ’15 for 15’ events that have been happening since November 2017 to mark our 15th anniversary. Since opening we have now helped over 7600 families which is amazing! Being Office Manager, I welcome new families to the house and keep on top of maintenance and orders so it was nice to try my hand at a bit of fundraising. 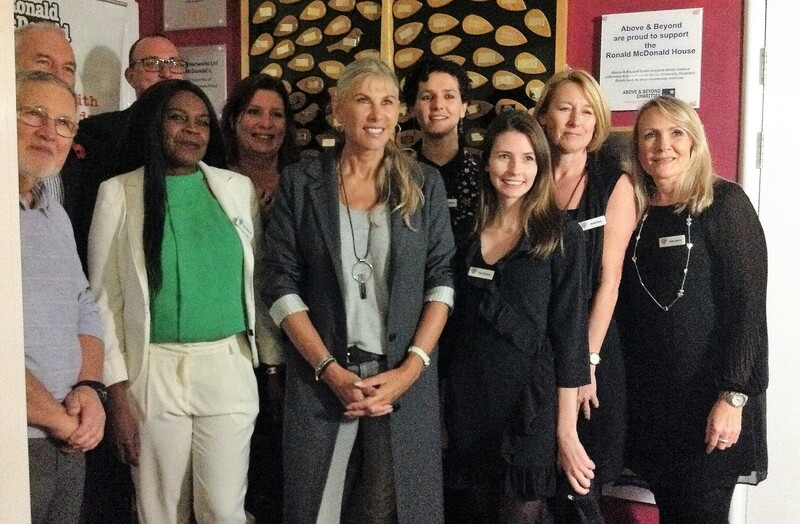 We had many exciting events which both the RMHB staff and our supporters were involved in. I started last December with a 12 hour relay cycle ride inside a local supermarket whilst we were dressed as elves and some lovely McDonald’s staff came and dressed up as Santa and held buckets. It was just before Christmas and so everyone was in a jolly mood and quite a few young children thought it was the real Santa! Next up was a Swimarathon at a local school swimming pool. 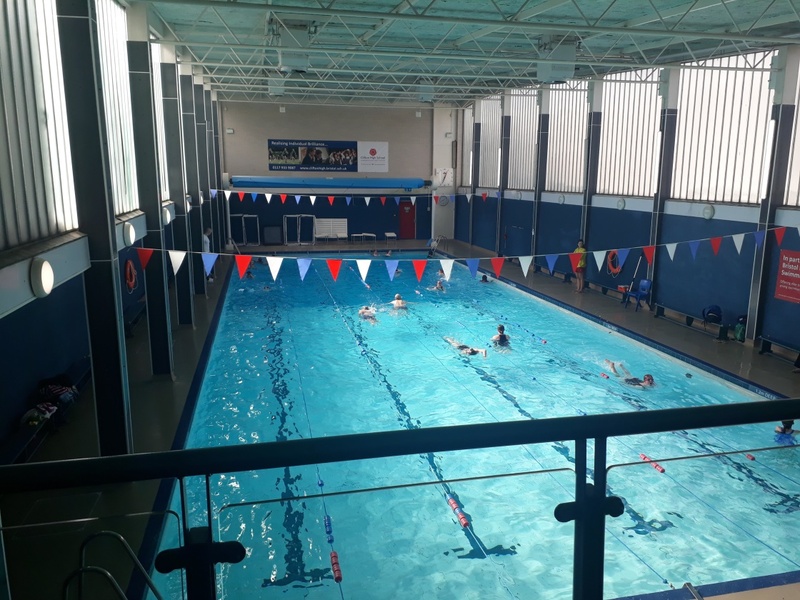 The idea is get sponsored to swim as many lengths as you can in 50 minutes and we had several groups of brilliant children swimming for our charity whose families know about us or have stayed at RMHB in the past. I was very pleased with my 60 lengths although several of the children swimming alongside me managed 65-70! This is an event that we do every year and so it would be great if anyone wants to get involved – you can do it relay style or any style really so it’s great for children and adults of all ages. Please contact us for further information. Now then… that sponsored silence. Firstly a huge thanks to our volunteer Jayne for looking after the office and answering all the telephone calls (writing things on sticky notes isn’t a great way to communicate by phone :P). Being silent for a day definitely taught us to appreciate how nice it is having each other to talk to during difficult days in the office and having another person to bounce ideas off. We were all noticeably much more noisy the day after! Topping off my final event for the ’15 for 15’ I went and did a skydive last weekend which is an amazing experience and I fully recommend it to anyone who’s thinking about it. The company Skydive Buzz in Devon are connected to RMHB and so you can do a charity jump where you jump for free if you raise £400 or more for RMHB. You get a once in a lifetime experience and we get funds to help us keep RMHB going for the next 15 years. A win all round! Whilst my fundraising adventures are drawing to a close we still have lots of exciting events coming up if you want to get involved. 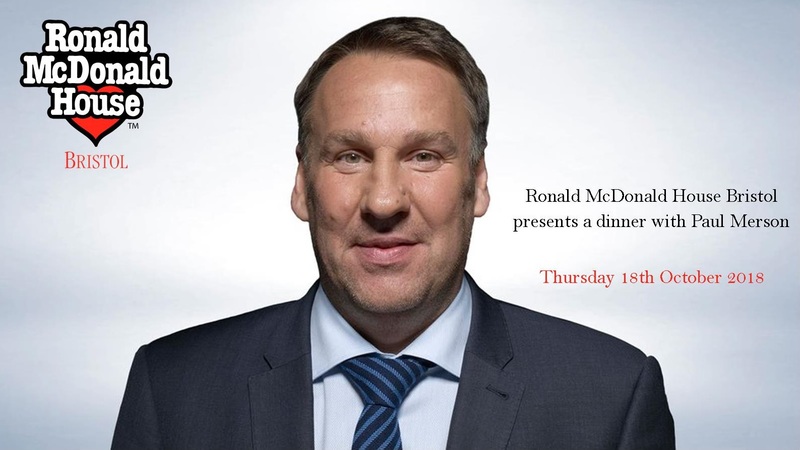 On Thursday 18th October we are holding a Sports Dinner hosted by comedian Russ Williams with after dinner laughs and anecdotes provided by football legend Paul Merson. There are still tickets available for this event and with great raffle prizes and auction lots like 4 x tickets to see Elf in December or 2 x tickets for X Factor; it’s a great way to raise vital funds for RMHB! 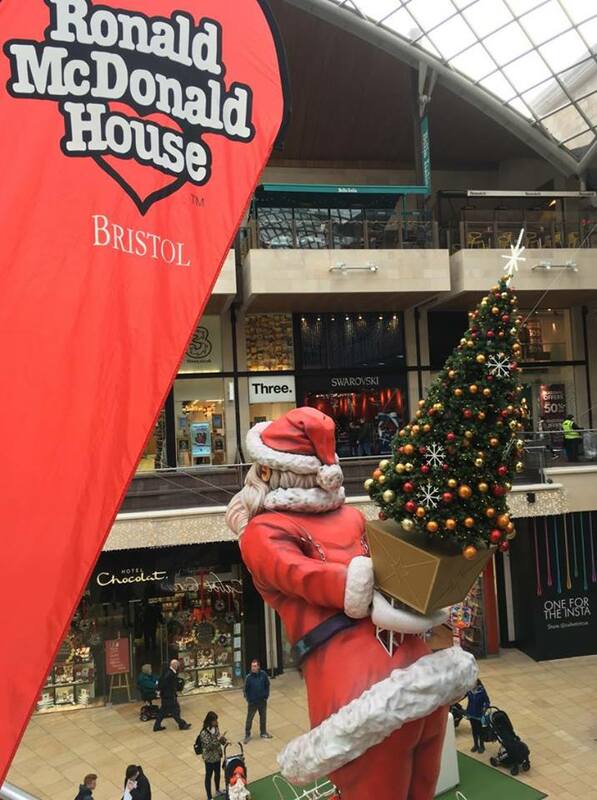 In December we will be returning to Cabot Circus for our choir concerts and bucket collection on the 13th, 14th and 15th as well as doing another Santathon and bag pack at Cribbs Asda on the 9th. We are still looking for choirs and volunteers so if you want to get involved let our fundraising team know. For tickets, fundraising and volunteer opportunities please contact: anna@rmhbristol.com or Frankie@rmhbristol.com. It’s been a crazy old time (in a good way) here at Ronald McDonald House Bristol, especially over the last 3 months. We have a new team member, Frankie, who has been amazing, I for one, don’t know how I would have coped without her! We held RMHB FEST in June, which I am pleased to say, will be back next year - by popular demand. If you missed it – it was the most amazing day – so be sure to watch this space and keep up with all of our FEST plans for 2019! Last week we held our annual golf day at a brand new venue – The Rolls of Monmouth Golf Club. We were completely spoilt by the stunning surroundings and the grand Old Manor House where the staff looked after us and our golfers impeccably. However there was lots of organising to be done. Although we are a really small team, which, including volunteers (thanks to Rob and Javier on the day) totalled 6 people, everyone rallied round and this year we managed to feed, water and keep our 80 golfers happy. Thank you to all those involved, the golfers, and especially all of our sponsors. With little time for recovery, Frankie and I (who are THE fundraising team) are now in full organisational swing for our Paul Merson Sports Dinner on 18th October. We are also making our fundraising plans for our Christmas 2018 events, RMHB FEST 2019, Golf 2019, as well as looking after all of our individual and corporate supporters. Busy, busy, busy!! When my children were younger I used to read them a story they loved! It was called Busy, busy, busy. It was about a little boy who was desperate for his mum to stop doing housework one day and pay him some attention. He spied her at one point surrounded by washing and ironing ‘with her arms stuck in the sink and 2 big tears rolling down her cheeks’. The story ends with the little boy dragging his mother out of the house just in time to see 6 geese flying overhead as the sun was going down. The story always used to make me stop, think and take stock. It still does as I discovered when I found the book again the other day. We all spend so much time rushing round and fretting about doing all these ‘important’ things that there is little time to reflect or just see the things that actually matter. Working at RMHB puts life into perspective and certainly makes me realise what’s important. Every day I come into contact with families who are staying with us, who are all going through the hardest time of their lives. Their housework is certainly on hold – so are the rest of their lives! It serves as my daily reminder as to why I do what I do – to help raise over £270,000 every year to keep our house going, so we can help even more families in the future. So today, although I managed to write my blog, spend an hour with a group of NCS students and get most of my ‘important ‘work done, I didn’t have time to send that long email or make that power point perfect for the next corporate group! That’s fine by me, we were so busy today at RMHB that I was mucking in with some of the jobs, doing the things that actually matter. The most important thing for us today is that 4 families went home which meant we had 4 rooms to give out to other families on our waiting list, family members who will tonight now have a bed to sleep in near the hospital. So today was a good, if busy, day! Last week I did my fortnightly visit to the Children’s Hospital. It was an uplifting morning with several families sharing good news of their children. It is wonderful when this happens. A lot of healing goes on in the Hospital, but it can take a very long time which is very challenging for the families, especially when there are siblings involved. The families show such courage and it is a privilege to get to know them and to hear their stories in such a difficult stage of their lives. My role is to see if there is anything that they need that we can provide, whilst also checking on their well-being at such a stressful time. I ask if they are remembering to eat, trying to get some sleep etc., but sometimes they just need a listening ear. They are so grateful for RMHB and constantly tell me that they could not manage without it. It is a short break away from the hospital for them, which can be so valuable at such a traumatic time. It is wonderful to meet the families and some I will never forget. Thank you everyone for all that you do to ease people through a really difficult and challenging stage of their lives. It is really appreciated. I love surprises. Back in November last year we received an email out of the blue. It was from the Bristol And District Chartered Accounts Student's Society (BADCASS) who were emailing to say they would like to raise money for our charity at their 2018 ball. I had never heard of their society and was equally surprised that they HAD heard of us. RMHB is the sort of charity that is a wonderful support when you need it but you wouldn’t otherwise come across if you didn’t stay here or know of someone who did. We were really pleased that BADCASS had chosen us as their charity for the 2018 ball and that they had reached out to include us in the event of their own accord. BADCASS is a not-for-profit society run by some lovely people. Our fundraisers at RMHB do an amazing job of raising the £270,000 we need each year to keep supporting families – each room is £35 per night per room and we make no charge to the families. They are brilliant at organising and attending events and making RMHB proud. They also get invited to really great events like the BADCASS ball. Fortunately for me they were unable to go which meant that I got to go to the ball. Unfortunately for me I’m not that brilliant at organising and attending events (which is why I do the admin and finance instead). The idea of giving a speech to 400 people filled me with dread but I love RMHB and knew I’d be able to let everyone know what their donations would be helping even if my legs were shaking whilst I said it. The ball was Alice in Wonderland themed and was held in a function room at Ashton Gate Stadium. There was a magician and a skilled face paint artist and there was a mad hatter and a hare. The mad hatter introduced me to the stage to do my speech with a kiss and a bow. The speech went absolutely fine and I was able to then watch as everyone joined in the games to help raise some much needed funds for us. Along with the usual ticket sales income and raffle prizes they also raise money by playing ‘heads or tails’ which is a game where everyone donates to play and then either chooses head (by making bunny ears on their head with their hands) or tails (by making a bunny tail on their bums with their hands). A coin was then flipped and called out by the organisers and anyone who got it wrong has to sit down. Eventually they were down to 8 people who all lined up at the front (as best a line you can make when you’ve had a bit too much of the table wine) for a very tense finale which had myself and our volunteer Chris on the edge of our seats. 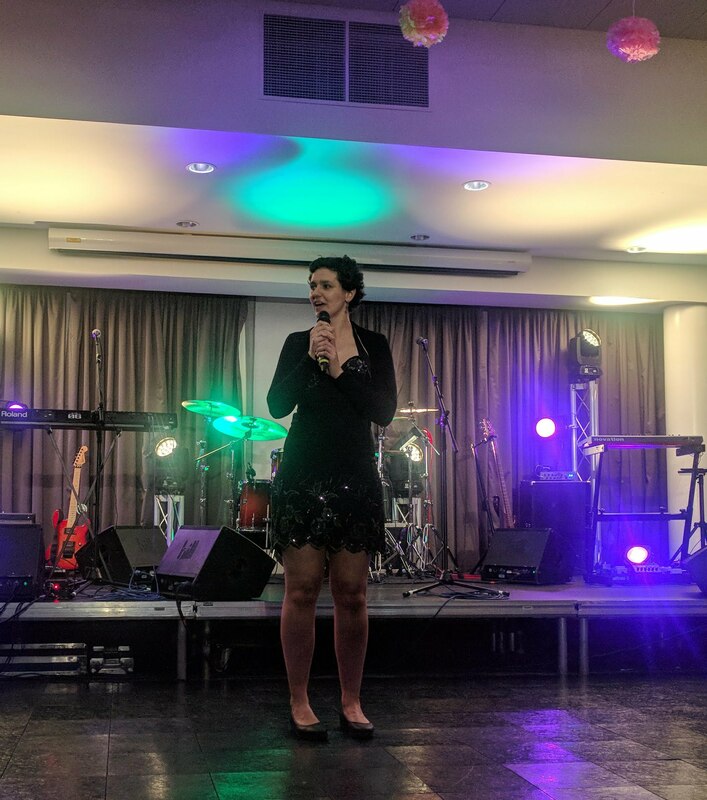 A huge thank you to BADCASS organisers Sophie Fox and Esther Leung for reaching out to us and inviting us to a brilliant evening of fun and fundraising. I was once again reminded of all the amazing things that happen every week at RMHB and how lucky we are to have such great supporters. Everyone will tell you that time flies…how right they are! Ten Years ago I decided to retire from my busy and hectic work life in Hotels - I was very much looking forward to having more holidays and doing things I had never had the opportunity to do before. Slight panic set in thinking will I have enough to fill my days? I then had a “lightbulb” moment - I should volunteer, but where could I go that I would enjoy and also be flexible to fit in with my much loved holidays. 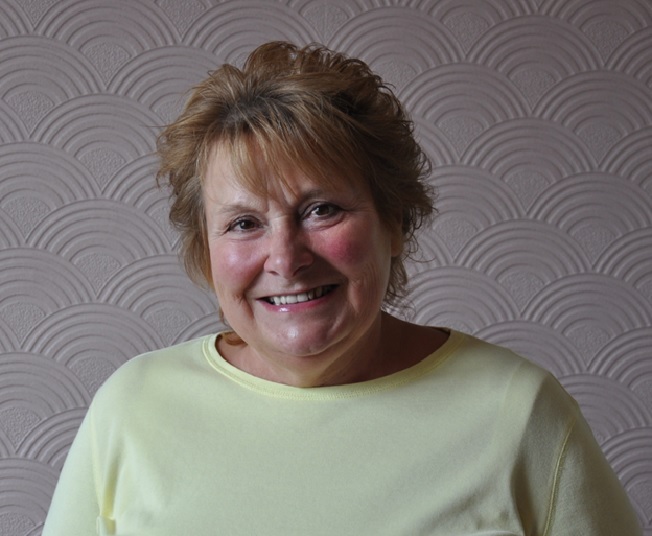 My best decision was to meet with Denise at Ronald McDonald House Bristol and have a chat. I had been working with the House through the Marriott Spirit to Serve Programme and had met everyone at the House on many occasions, so I already knew what a wonderful place it was. After the chat, I had no doubt in my mind that this is what I wanted to do. Ten years later I know I made the right decision. I see how parents value the House and are able to relax a little and bring some “normality “ day to day when they return after spending time with their child at the hospital. As a volunteer on a regular basis I tell them I will do virtually anything they need - with the exception of things like jumping out of planes, laminating and writing blogs! RMH Bristol is a completely independent charity so I work closely with the two fundraisers, Anna and Linny and feel that I can contribute in some way to their efforts. I can spend hours on the phone persuading companies and people to donate prizes for Auctions and Raffles and am always overwhelmed at people’s generosity. So many are also happy to donate their time, from businesses who offer their services to schools and adults willing to dedicate time to sing at our Christmas concerts. I love doing a Toy Sale in the lobby of the Bristol Children’s Hospital to raise funds; it is so much fun and I have even roped my sister into helping me! I feel very privileged to be invited along to events such as the recent 15 year celebration of the opening of the House. Every member of the team over the years has made me feel very welcome, they care about the families and they care about each other and me. 2018 is going to be exciting year with so many events planned celebrating 15 years since the opening of the House, I am 100% sure the team will have plenty for me to do! Looking back to 2007, I guess I never thought that ten years on I would still be volunteering and loving it, and I still find it personally very rewarding. The people I have had contact with during this time have been amazing, it fills me with happiness and I am grateful that Denise agreed to me being a part of the team. Oh and yes I can still fit in all my much loved holidays!!! There are lots of times when I feel very lucky to be a part of RMHB. From receiving a card in the post from a family who stayed with us years ago, to having people popping in with a bag full of food for families and walking in to the communal kitchen to see two families cooking together or sat outside in the garden spending time with each other – these are all parts that make up that great feeling of being part of such an incredible and special place. Now that we are entering the 15th year of RMHB, something that has become very clear to me is that one of the most special parts of being involved in this charity, is that I am constantly surrounded by people who are so dedicated to spreading the word about who we are and are always willing to go that extra mile (or 10,000 feet up in the air) to get the word out. What is so contagious about being a part of the team here, be it for the last fifteen years or one or two like myself, is that as soon as you walk through the front doors of the house you realise just how important somewhere like this is and feel so drawn in to wanting to make sure that those doors stay open for families. So, to mark this special 15th year, we will be hosting 15 fundraising events throughout the year, which the whole RMHB team will be taking part in – we have called this 15for15. From a 24 hour bike ride, skydiving, working 15 shifts in McDonalds to even taking on the challenges of hosting our very own RMHB FEST in June 2018 (Glasto eat your heart out!) each one of us is pushing ourselves well out of our comfort zones and doing it all in the name of RMHB. We are all so passionate about keeping this vital place of comfort going so that many more families in need can continue to benefit from our home-from-home for years to come. Without the amazing support that we receive from so many incredible people, this really would not be possible. 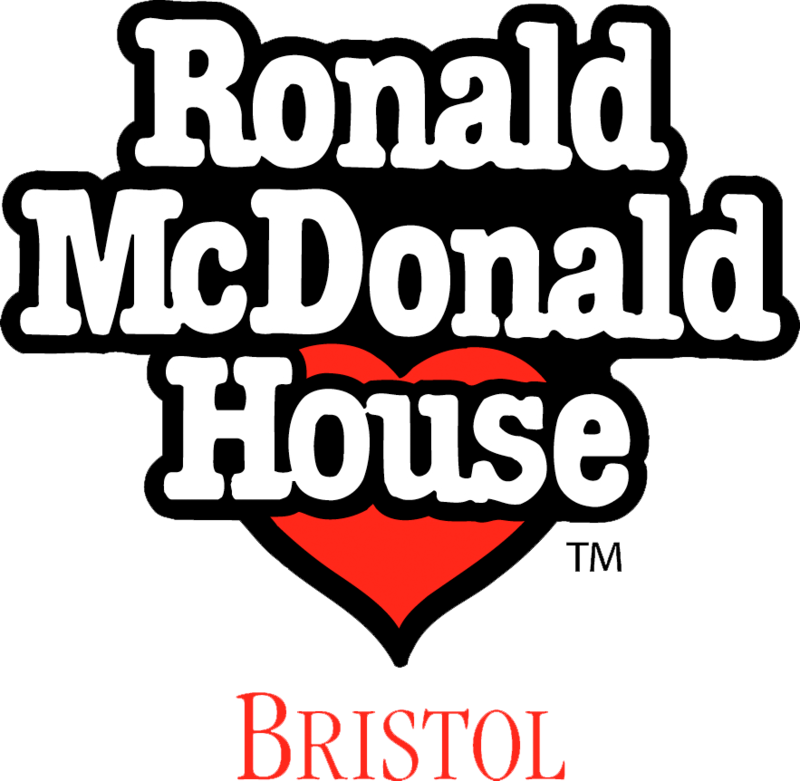 If you feel as passionate as we do about Ronald McDonald House Bristol and want to help make this year our best one yet, then why not join us in our 15for15. Whether you fancy taking on the challenge of skydive, taking part in our 24 hour bike ride or joining us at our RMHB FEST, there are so many ways that you can get involved. We might be small team, but together we are determined to make a big difference!